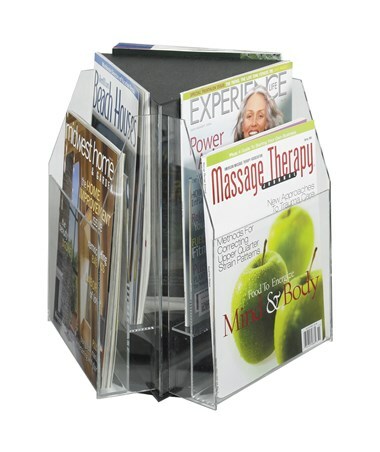 The Safco Reveal 6 Magazine Tabletop Display is a crystal clear display great for organizing magazines and gives visibility to the contents. It features three sides with pockets that are in a two-tier design, which makes it a total of six pockets. It rotates 360 degrees to allow easy access to the pockets on all sides. Each pocket is nine inches in width and can fit up to an inch thick of material. 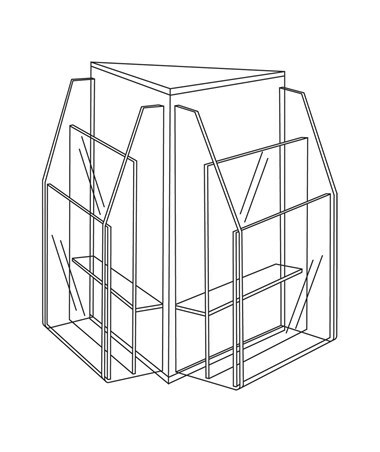 Being lightweight and small in size, this display is perfect for any desk that needs to save space. 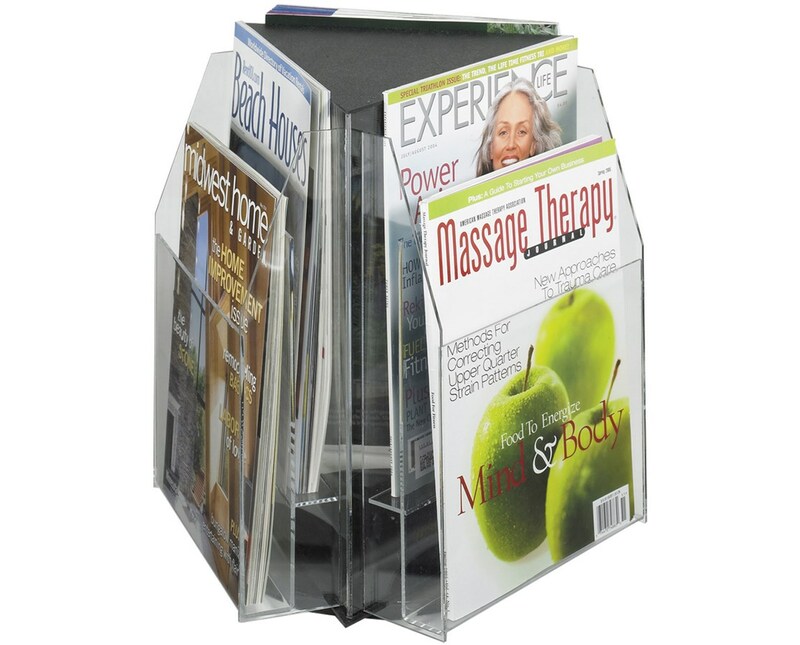 This magazine organizer is made of acrylic and is thermoformed giving it smooth edges. It is also safe for indoor use as certified by GREENGUARD.